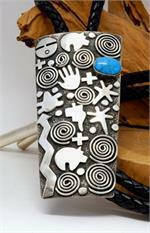 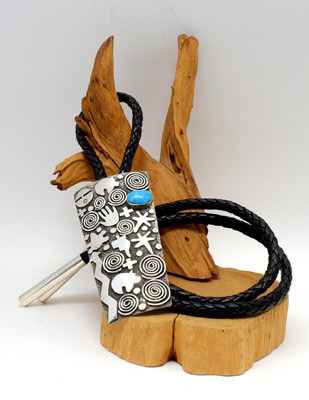 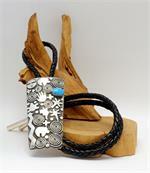 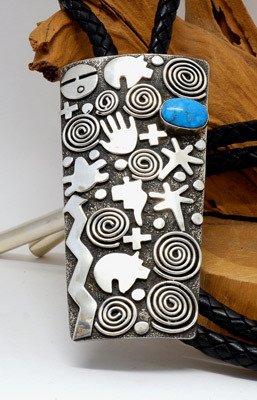 Stunning large petroglyph bolo with turquoise by Navajo artist Alex Sanchez. 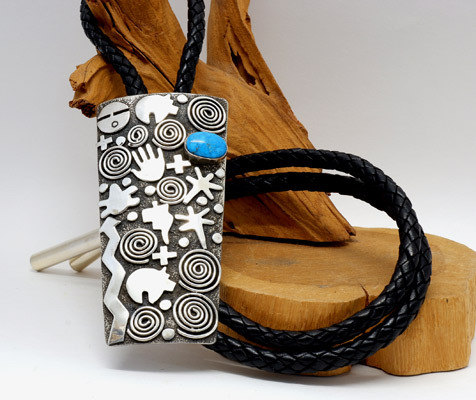 This bolo features overlay designs of swirls and beads upon textured and oxidized sterling silver with a single piece of turquoise. Combined with the stamped swirls on the back of the bolo, these details all work together to make this bolo a true statement piece! 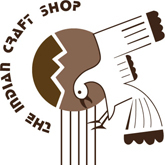 Length 4 1/2", Width 2.25"